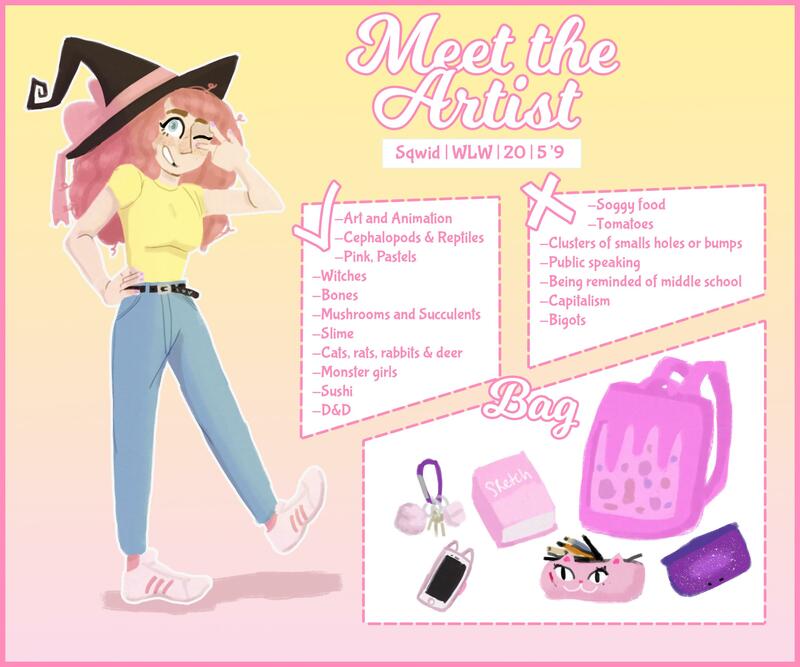 I'm Sqwid and I am an illustrator/animator and an aspiring visual development artist! As a college student studying animation, I would love to be able to help support the costs of my dream by doing what I love and by being able to work all the time on improving my craft! I have a lot of projects I would like to start, from animation to a comic series, and supporting me would help me get them started as well as a chance to be a part of them! ♡Access to sketches and wips! ♡Access to speedpaints/animation/videos before they're posted! ♡Vote on video and art ideas! ♡Access to my Discord server! ♡One sketch commission a month! ♡Access to detailed art and animation tutorials and request tutorials to be made! ♡One lineless color commission a month (instead of sketch)! Starting out small since I'm just getting started!